MacBook Time Machine backup to WD My Book Live "Time Machine completed a verification of your backups on 'WDx'. 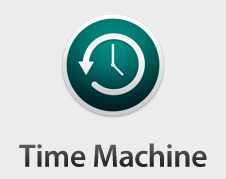 To improve reliability, Time Machine must create a new backup for you." My setup for MacBook Air backup was Time Machine backing up to WD My Book Live 3T hard disk. Every month or so, I got an error stating "Time Machine completed a verification of your backups on 'WDx'. To improve reliability, Time Machine must create a new backup for you." 90 GB of data to backup? Again?! I tried everything, from changing the name of the computer (because ' in name can make some problems), removing all the security (absolutely not advisable ;) ) just to check things out and... nothing. Whatever I did the error kept coming out. Sell WD My Book Live and buy yourself a Synology NAS. It costs more but the difference is soooooo big you will not regret it. No more monthly full backups, no more network lags and you get additional apps you can use. UPDATE: After 3 months of backup to Synology NAS no failures, no verifications,... works like a charm.